SUDDEN INFANT is a Swiss Industrial-Dada-Noise-Rock band based in Berlin. Their 2014 album 'Wölfli’s Nightmare“ on Voodoo Rhythm Records was produced by Roli Mosimann (Swans, The Young Gods, Wiseblood) and was very well received by critics and audiences. 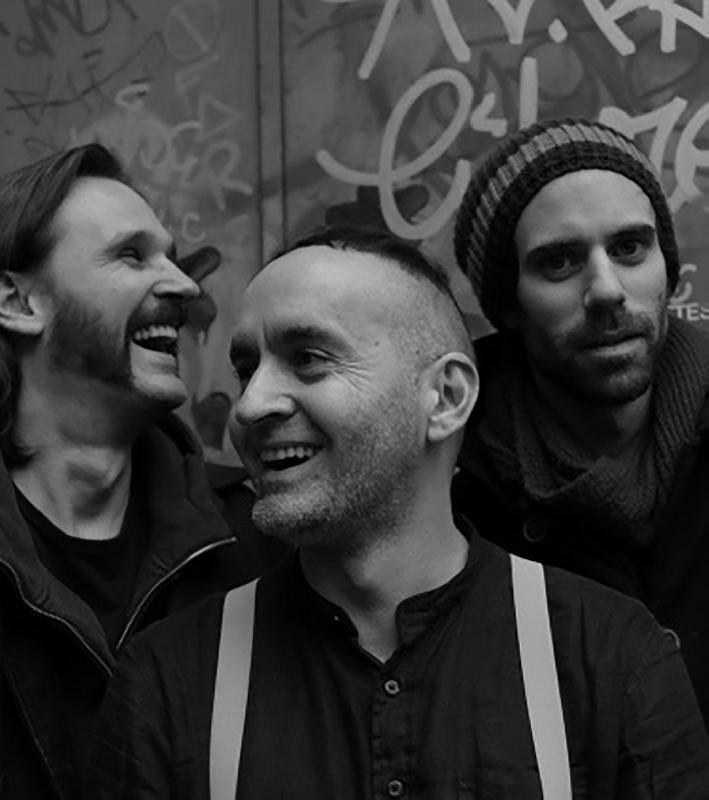 After 25 years of extensive solo works and collaborations, Sudden Infant is operating since 2013 as a three-piece band with Joke Lanz, Christian Weber and Alexandre Babel. The international acclaimed Noise project has transformed into a Dada-Punk-Industrial unit. Their first band-album „Wölfli’s Nightmare“ in 2014 on Voodoo Rhythm Records was produced by Roli Mosimann (Swans). In the past Sudden Infant toured with Sleaford Mods and played alongside Wolf Eyes, Ben Frost, Merzbow, Derek Bailey, Jim O'Rourke, Thurston Moore and many others. The brand new 2018 album „Buddhist Nihilism“ coming in August on Harbinger Sound UK will consolidate the bands ability for bizarre and intense compositions full of left field humor, powerful rhythms and twisted structures. Brilliantly mixed and mastered by Martin Siewert (Radian) in his Vienna studio.